Ann Daisey, community conservationist for the federation, talks to the students about marine debris. 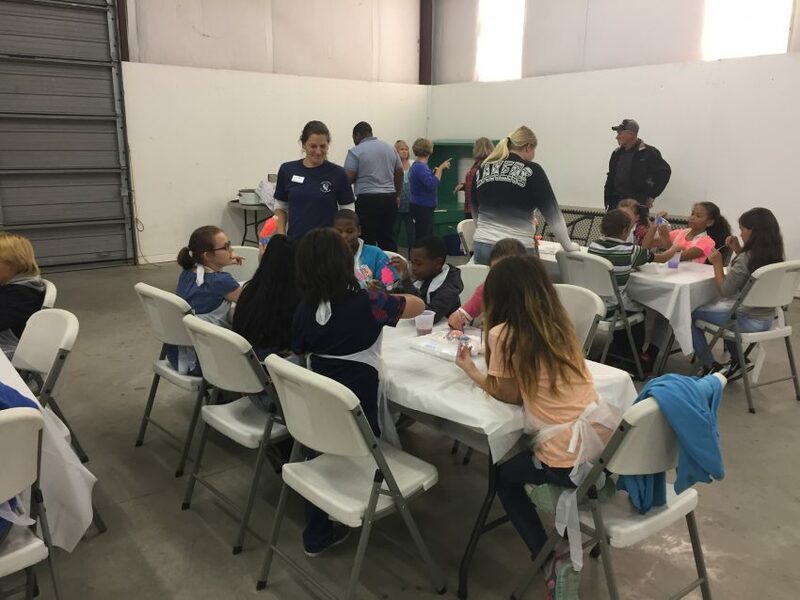 Fifty students, teachers and adults gathered to enhance their environmental knowledge by participating in the Environmental Education Field Day at the Ponzer Community Building in Hyde County on Oct. 26. Debbie Cahoon, administrator for the Hyde County Soil and Water Conservation District, organized the all-day learning experience. This annual field day is for the county’s fourth-grade students. They participate in activities and learn from multiple environmental organizations whose programs align with the fourth-grade curriculum. This year, students had the opportunity to learn from the North Carolina Aquarium on Roanoke Island, Outer Banks Center for Wildlife Education, North Carolina Wildlife Resources Commission, North Carolina Forest Service, Goose Creek State Park, North Carolina Cooperative Extension, and the North Carolina Coastal Federation. The students used plastic bottles to make a fish craft. Staff from the federation’s Wanchese office led activities during the event. Ann Daisey, community conservationist, and Reilly Kelly, AmeriCorps member, taught the participants about stormwater runoff and marine debris. The students were also tested on their current knowledge of the three Rs: reducing, reusing and recycling, while being reminded they could also refuse plastic products. The students then had fun with reusing single-use plastic items. 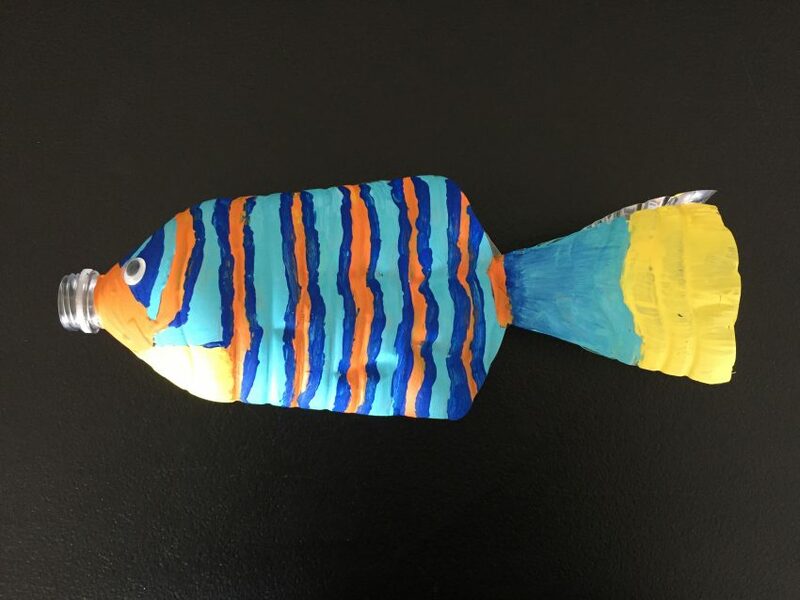 They each engaged in a marine debris craft — painting fish that were once plastic bottles. The students were amazed by how easy it was to reuse plastic water bottles and in turn thought about what items they could reuse for their next art project. “The fourth graders gained beneficial knowledge during this event and they were able to take home a reminder on why we should protect water quality and our surrounding environment,” Kelly said.